It’s been a while since I last shared my favorite internet finds. It’s not that the internet hasn’t been full of ridiculous and wonderful and mind-blowing things. It’s just that – to be honest – I’ve been busy. First off, there’s my balcony garden. I planted it last weekend and it’s just so needy. It rained a lot this week so I haven’t actually had to water it yet – but it just takes up so much of my mental energy. 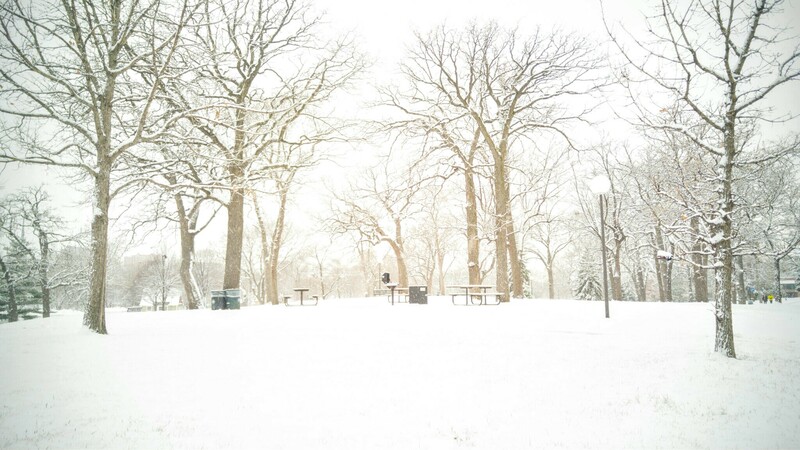 I’m constantly worried about The Evil Squirrels of Loring Park (yes, that usage of a proper noun is appropriate). After a winter in which a general cessation of hostilities was maintained, my war with The Evil Squirrels of Loring Park ramped back up this week when my very first, beautiful, perfect, little strawberry was eaten by a ravenous and ungrateful rodent. Life is truly brutish, nasty and short. Another occupier of my time has been my efforts to keep up with the Kardashian/Jenner/Blac Chyna saga. If you’re not familiar, Kylie is dating Tyga (but I heard that they may have broken up right before the Met Gala) and Rob is engaged to Blac Chyna who recently announced her pregnancy via Chymoji on Instagram. Tyga and Chyna used to be engaged and have a kid together. Kris and the fam are acting like everything is OK but I know that secretly, they are losing their s#&%. Between snap stories and Instagram, Twitter and the gossip news sites, there’s just so much to learn and care about. And then there is the basic, boring stuff like work and running and family. But whatevs. Priorities, am I right? So here is what I’ve found particularly interesting on the internet over the past few weeks. I’d also love to know what you are reading and listening to. Tell me about it in the comments. How jogging in Burundi became an act of war. My latest podcast obsession is Call Your Girlfriend. It’s exactly what it sounds like – two smart, funny, female friends talking politics, pop-culture and whatever they find interesting. Have you heard of Empty Nose Syndrome? Medical professionals aren’t sure that it’s a real thing, but people are killing themselves over it. I’ve been immensely enjoying the political satire of Alexandra Petri. Thirteen genetic superheros walk among us. Fresh Air‘s Terry Gross recently spoke with The Longest Shortest Time – a podcast on parenting – about her decision to not have kids. If you don’t know Terry Gross, she’s public radio royalty – the best interviewer there is, hands down. GQ’s profile of Melania Trump is highly entertaining and worth the read. How to avoid boring sunsets. My music suggestion is a no-brainer. And if I’m being honest, it’s not so much a music suggestion as it is a music order. – Sturgill Simpson’s new album, A Sailor’s Guide to Earth. Listen to it. Keep up the good work. We’ve got this. Spend a little time around me and you will discover my latest obsession – pugs. I’m not quite sure when or how it started but sometime in the past few years I became fixated on the pudgy little critters. I mean, what’s not to love? They’re fat and lazy and wrinkly and grumpy and flighty and they can’t breath very well or swim. The pug is basically my spirit animal – if spirit animal meant your anthropomorphic antithesis. I get pugs. Pugs get me. I make a point to stop and greet every pug I see out on the path when I’m running, and I’ve never met a pug I didn’t like. I have total pug cute aggression. And yes, I want a pug. I would get a pug in a heartbeat, but common sense and rental agreements are no respecters of life goals. I’m honest enough to know that I value the freedom of my dog-less life, and that the idea of a pug might just be more fun – at least for now – than an actual pug living in my one-bedroom, fourth floor walk-up. As fate would have it, last month I won a pug pillow in a raffle at a local running store. Ok, so it wasn’t so much fate as it was my friend and teammate buying the raffle prizes and maybe slightly rigging the game so that the pug pillow was available when my name was drawn. Details. Details. It was destiny. It was also a joke. I didn’t really plan to do much with the pillow, or even keep it for that matter. Like I said, I live in an apartment. Space is precious. I’ve made a point to keep our home decluttered and its decor simple. The pug pillow fell in the category of things that – if I even let them get past the dumpster in the parking lot – end up in the trash or donation pile a short while later. Like buttons from a parade or tchotchkes in a Christmas stocking, the pug pillow was destined to be a victim of my perpetual decluttering efforts. You know who Marie Kondo is, right? I haven’t read her bestselling book, The Life-Changing Magic of Tidying Up: The Japanese Art of Decluttering and Organizing – and to be honest I’m a little put off by how obsessed everyone is with the Kondo method. But in my less cynical moments I recognize – from what I’ve read and heard – that she’s on to something. Her most basic and overarching decluttering technique is to approach each and every item in your possession with the simple question, “Does it spark joy?” Does it truly make you happy? If it does, keep it. If it doesn’t, toss it. – It all makes sense to me, even if the cult of Kondo is a bit annoying. I should probably Kondo-ify my apartment one of these days. I’m sure that I’m holding onto many things out of guilt or habit or laziness – and not out of joy. It would be a productive exercise, I’m sure. The night I “won” the pug pillow, I brought it up to the apartment and set him on a chair, facing out to survey the room. 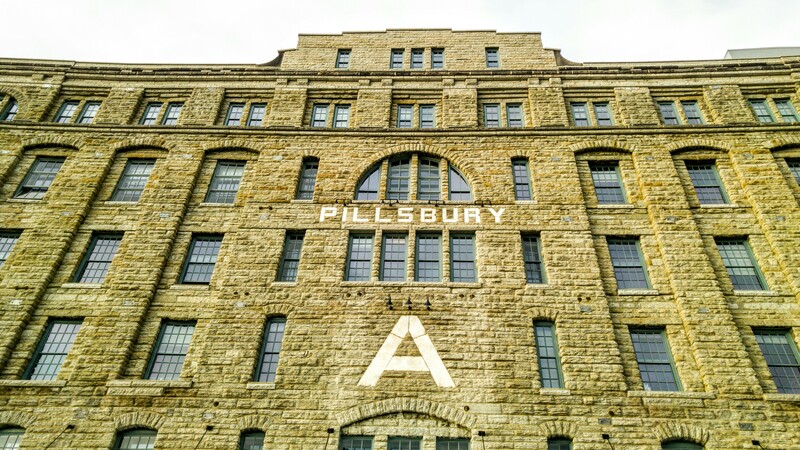 The plan was to eventually – sooner rather than later – dispose of Puggy. He didn’t fit with our decor, and he was decidedly tacky. 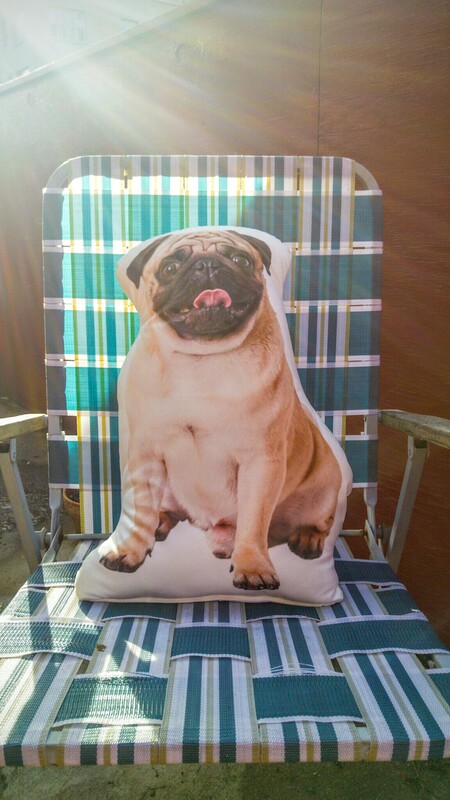 Who – other than a small child – would reasonably display a pillow with a life-sized snapshot of a pug on it? Puggy would be rehomed shortly. But then something funny happened. As Puggy the pug pillow sat on that chair in the dining room, his eyes would catch mine each time I passed. They are such buldgy and happy eyes. His eyes do that thing – like the eyes of white Jesus in the picture that hung in my childhood home – that thing where they somehow follow you wherever you move, staring deep into your soul. My mom used to tell me that that picture of white Jesus at the end of the hallway next to my bedroom was a reminder that Jesus is always watching you. A not so subtle reminder, it turns out. To be honest, I much prefer the idea of an omniscient pug than an all-seeing Jesus who is reminiscent of Al Pacino in the movie Serpico. But that’s just me. Puggy the pug pillow living the #balconylife. 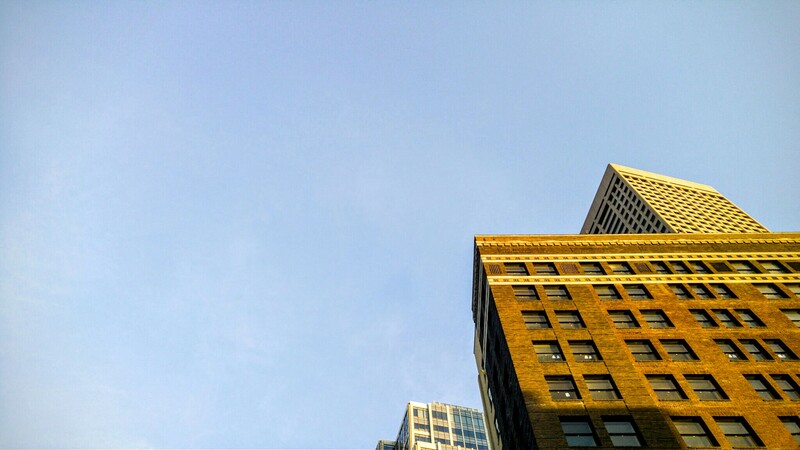 And as my gaze would meet Puggy’s, I noticed a strong feeling rise up in me. It started in my chest and tightened through my throat and made me want to say GAHHHH!!!!! Puggy made me happy. Simple, pure happiness. Sometimes I would poke his nose as I passed, or say hello when I saw him. It’s silly, I know. I’ve never brought him to bed like a childhood stuffed animal, or played with him beyond taking his picture and trying to do a face swap on Snapchat [I haven’t yet gotten it to work :(]. He just sits on a chair and looks cute and makes me happy – really, really happy. And that’s not something to take for granted. Of course, Puggy the pug pillow is no substitute for a real pug. He’s not particularly soft or moody. He violates all of my interior decorating sensibilities and he’s completely novel and ridiculous. He goes in the closet when company comes over. But, for all of his flaws, he does stand the test of Marie Kondo, the decluttering queen. He sparks joy. And as long as my husband doesn’t throw him away and I’m smitten with him, I let him live in my apartment. 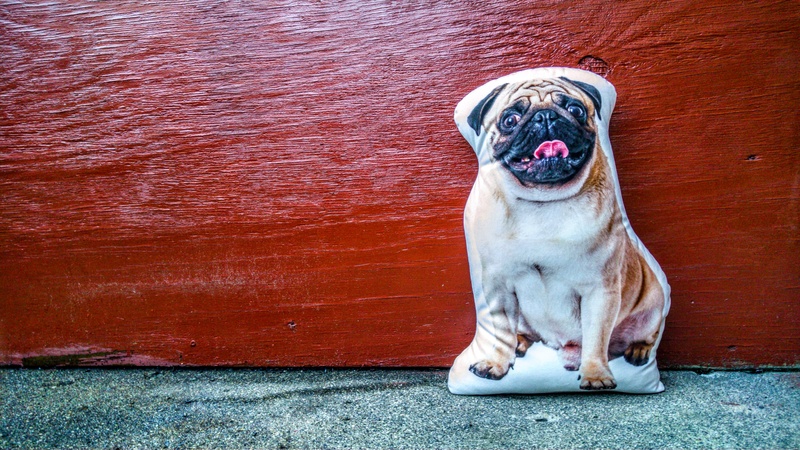 Life is too short (and mundane, complex and ridiculous) not to keep the fugly pug pillow that brings you great joy. That’s my interpretation of the Kondo method, and current life philosophy. I’m doing alright – happy it’s Friday. No, don’t have many plans this weekend. Supposed to be nice here. I’ll probably try to get outside. What about you? That sounds fun. Well, have a good weekend. Now that we’ve gotten through the small talk, let’s move on to the links – the fruits of my browsing labors, the blessed gifts of the internet gods for which we are forever grateful. Amen. Which topics are most discussed within each party and the phrases each GOP candidate repeats the most. The Obama Doctrine. – It’s long but worth the read. What’s driving the ascent of Donald Trump? A niche group of political scientists may have the answer. How soon will the nominations be clinched? Lawmakers in West Virginia celebrate the legalization of raw milk by drinking it and getting sick. Some Chrome extensions that might help you get through this election year. Follow @teenybiscuit. She is the true Twitter treasure who’s given us puppy or bagel, sheepdog or mop, chihuahua or muffin, and my favorite – labradoodle or fried chicken. She’s young, but her future is extremely bright. If you don’t follow Gemma Correll’s work, start now. Another Round is a podcast that you should be listening to. Search for YouTube videos by location. As equality in marriages grows, America is becoming more segregated by class. 25 songs that tell us where music is going. Syrian Refugees share a hotel with a furry convention. A short list of games robots still can’t win, and a puzzle game that makes me really happy. How lol became a punctuation mark. The forgotten history of fat men’s clubs. 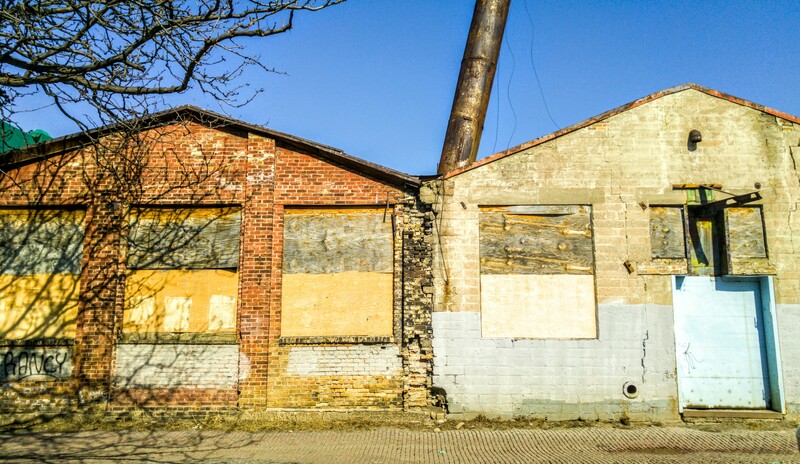 The U.S. is trailing the rest of the world when it comes to …. roundabouts. Every movie ending is better when it’s soundtracked by Dire Strait’s Walk of Life. And finally, I’ve saved the best for last. A big thank-you to my dear friend Rebecca for passing this article along to me. It is truly a gem, and one of the most enjoyable things I have read in a long time. – The undying love story of Heidi and Spencer Pratt. It’s been a few weeks since I last shared with you my favorite internet finds. A few weeks is like a decade in internet years. We’ve got a lot of ground to cover. 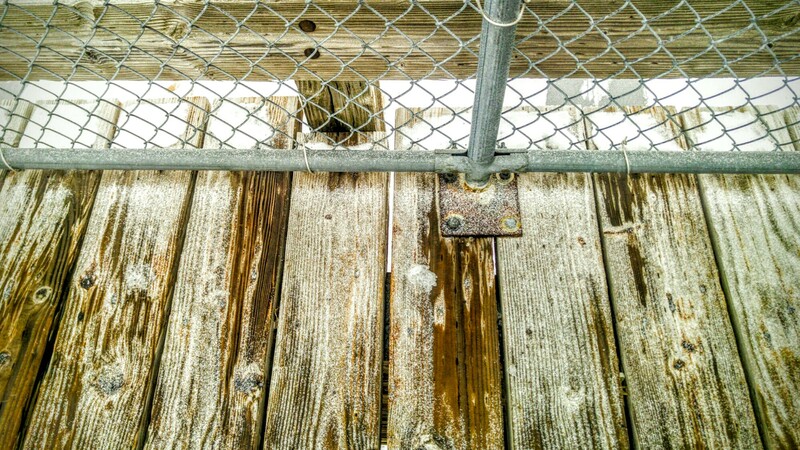 Let’s jump right in and get started. The internet was filled with conspiracy theories this week, most of which I hope are true. Ted Cruz is Robert Kardashian. 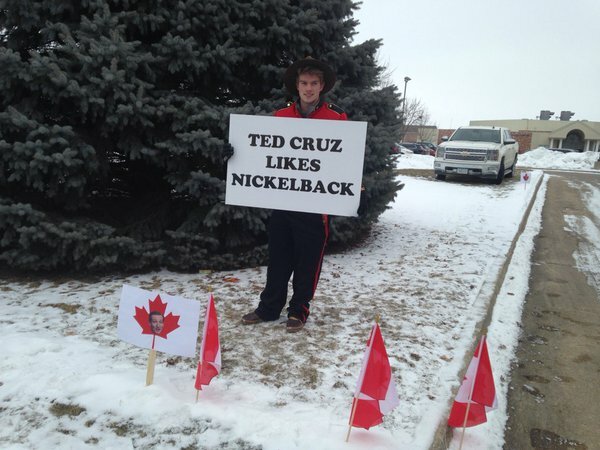 Ted Cruz is the Zodiac Killer. Katy Perry is JonBenet Ramsey. Speaking of – what it’s like to be at sea with America’s largest floating gathering of conspiracy theorists. Are you going to watch the Academy Awards on Sunday? I’m way behind on seeing all the Best Picture nominees, but will tune in and – of course – be following along on Twitter. This year’s broadcast will feature a major change in the way acceptance speeches are delivered. Pets that are stuck but pretending that everything is fine brings me a lot of joy. Steph Curry: Why the NBA loves and fears him. 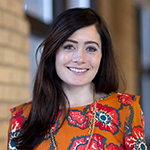 “Today’s women are not abstaining from or delaying marriage to prove a point about equality. They are doing it because they have internalized assumptions that just a half-century ago would have seemed radical.” – The most powerful voters in America are unmarried women. So competitive yoga is a thing and it’s just as ridiculous as you think it would be. How does the self-proclaimed “greatest living artist” measure up to Pablo Picasso? The Life of Pablo Picasso v. the Life of Kanye. How -splain became our most meaningless suffix. One day a year, the men locked up in California’s oldest prison get a shot at glory. Inside the San Quentin Marathon. How confessional journalism exploits women writers. An oral history of the internet’s greatest day. For those of you not privy to the internet’s latest obsessions, Damn Daniel is a thing. The best Twitter feud of 2016 so far. Bernie Sanders has locked up one vote: the producers and peddlers of Internet memes. “It turns out we let our electoral process devolve into something so fake and dysfunctional that any half-bright con man with the stones to try it could walk right through the front door and tear it to shreds on the first go.” – How America made Donald Trump unstoppable. Headlines about Trump get real. Political campaigns see $$$ in AOL email addresses. Lastly, I recently discovered Bruce Hornsby. Damn, his music is good. I get to see him in concert this summer at Eaux Claires and I’m just a little bit excited. This is just wonderful. 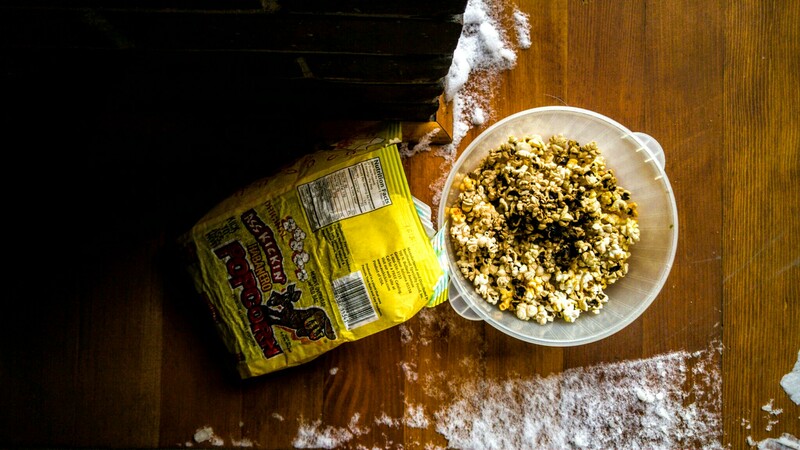 Popcorn on the porch makes me ranty. It’s Friday again and that means it’s time for me to share with you all the interesting, ridiculous and WTF things I found online this week. We’re going to start off with some music. My suggested Twitter-follow of the week is Sheboygan Scanner. Here you’ll find a wonderful citizen of Sheboygan, Wisconsin tweeting odd, dry and shocking messages from the city’s police scanner. Weirdly wonderful. Speaking of tweets, this one wins. Listen up men between the ages of 18 and 35: Gray hair is in. In “behind-the-scenes tech news”: Uber’s rebranding and Giphy’s origin story. The world’s youngest boy band. Why child prodigies rarely become adult geniuses who change the world. Evidently, you’re nobody if you don’t have your own mobile game. Snapchat is eating all your phone’s data. Here’s how to fix it. A video game about cancer. I first heard about it on this podcast. Speaking of Reply All – it’s my favorite and this week’s episode is great. All of 2015’s weather in a time-lapse video. It’s like Netflix, but for flying. Super Bowl 50 is Sunday. Side Note: I went to look up the Roman numeral for 50 – because we all know that’s how Super Bowls work and I never learned my Roman numerals – and I discovered that this year the NFL is ditching the ancient numerical system!?! Are you going to watch? I’ll be live-tweeting the game . . . er . . I mean, the commercials. A nice Super Bowl preview. The dark secret of the Super Bowl coin toss. 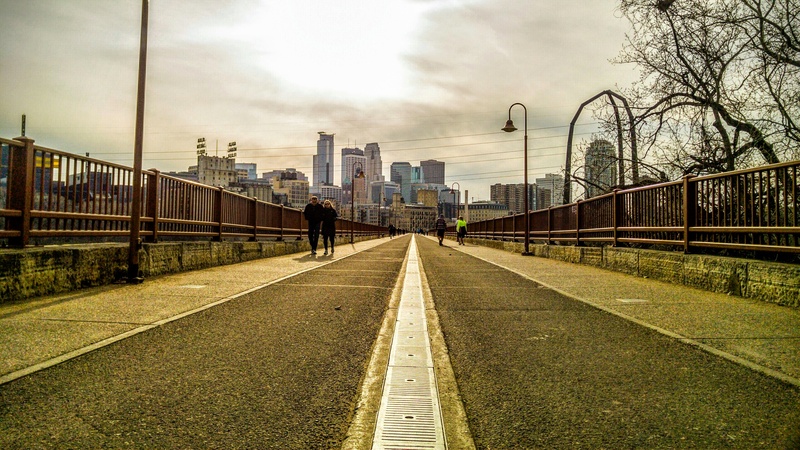 How Minneapolis changed the Super Bowl halftime show. www.donaldtrump.org and FREE Tump Stamps. A brief history of people caring about Hillary Clinton’s hair. Sarah Palin’s English is actually incredibly complicated. I like candy. My affection for it is quite enormous. My capacity for consuming candy is – as far as I know – limitless. 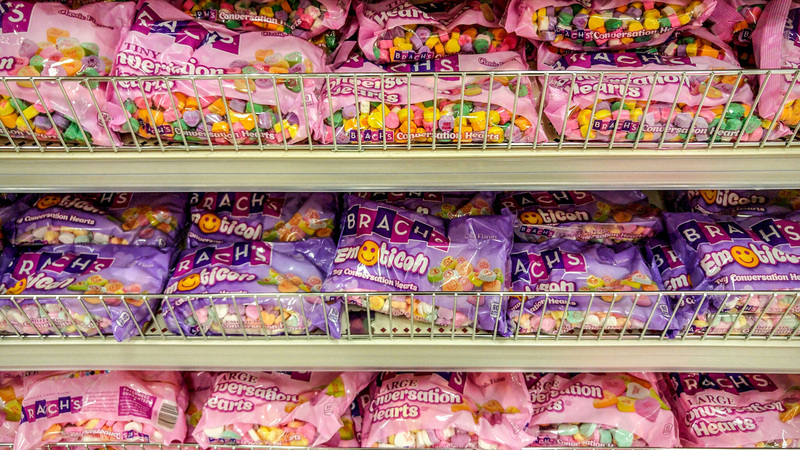 When I say that I like candy, I mean that I absolutely adore the most sweet, sugary, artificially-colored stuff. I can pass up chocolaty or a baked confections without a second thought. But sugar in its most-processed form? Yes, please. All the candy. I like to think of myself as the Lamar Odom of the running world. My year is roughly broken down into four candy seasons: Valentine’s candy hearts, jelly beans, fla-vor-ice*, and candy corn. *technically not a candy, but it’s sugar, so it counts. 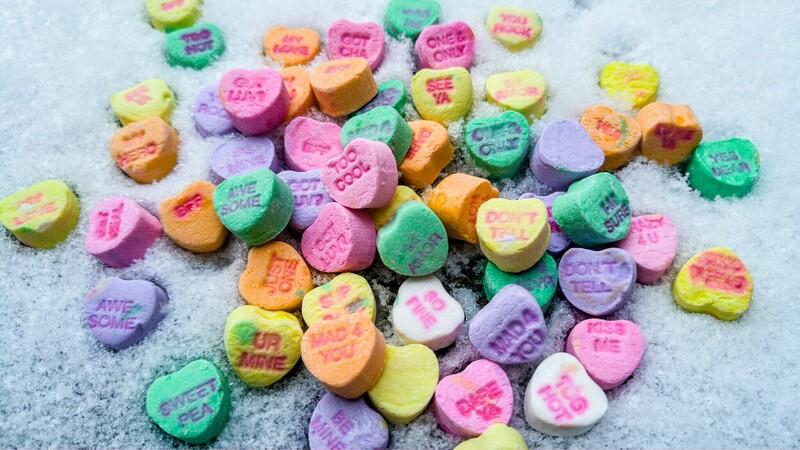 Today I’m going to talk about the first season in my candy year: Valentine’s candy hearts. Also know as the conversation heart, this traditional Valentine’s Day sweet started in 1847 with Oliver Chase, a pharmacist and founder of the Boston-based Necco Candy Company. These candies’ concise, imprinted messages that verge on sexual harassment have been the vehicle of romance for generations. Their simple, classic design and sugar-laden goodness have firmly established conversation hearts’ spot in the candy hall of fame. Ok, I kind of made that last part up. There really is a Candy Hall of Fame. But they induct people, not candy – which is stupid. Candy deserves all the credit. My earliest Valentine’s candy heart memory is from elementary school. In second grade I spent hours carefully selecting individual conversation hearts with specific messages to appropriately accompany each of my classmates’ Valentine’s Day cards. Seven-year-old Lisa would have never forgiven herself for the lost opportunity if her secret crush opened his Lion King Valentine to discover a conversation heart that read “Best Friend” instead of “Love You.” The message matters. He would have noticed. Mind the hearts. 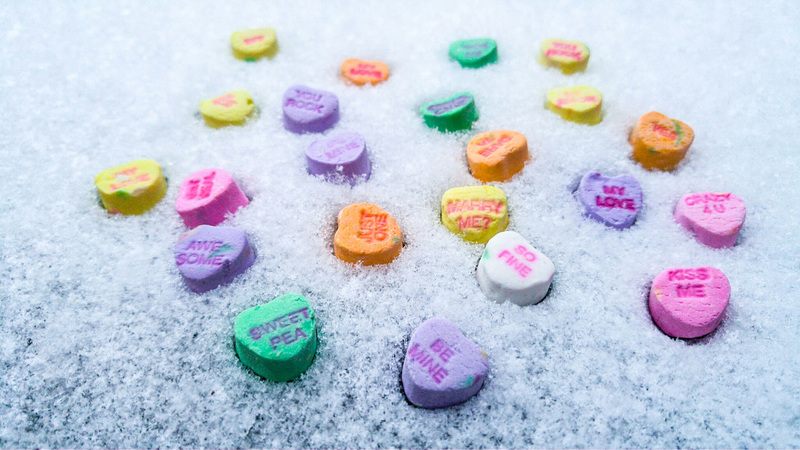 Although we owe them much for the conception of this iconic confection, the original Necco brand “Sweethearts” are extremely hard and oddly-flavored. 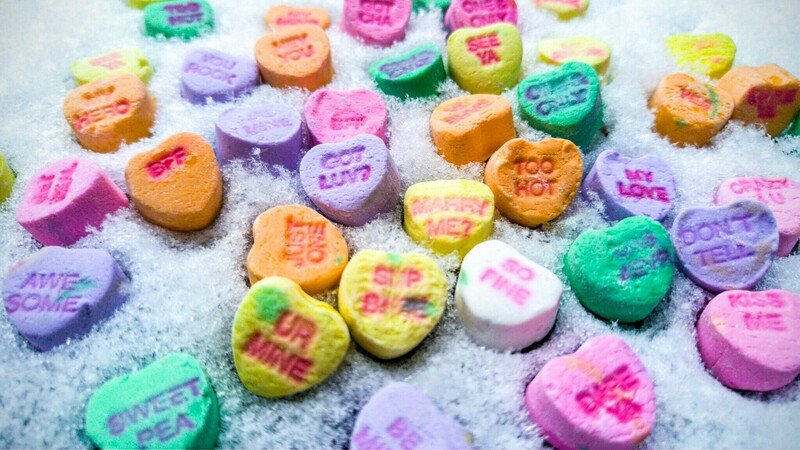 The standard “Sweethearts” package contains cherry, banana, wintergreen, lemon, orange and grape flavors. Who combines fruit and mint flavors?! Ick. 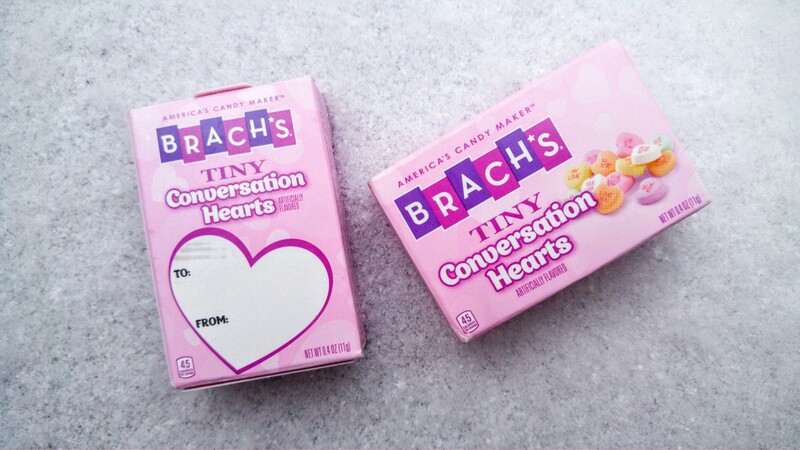 Brach’s also makes “Large Conversation Hearts,” but for some inexplicable reason their “Tiny Conversation Hearts” are far superior. The “Tiny” version is softer, milder in flavor and in my opinion, preferable in form. Although many alternative and new versions of the Valentine’s Day candy heart have emerged over the years – sour hearts, sweet tart hearts, gummy hearts, etc. – nothing will surpass the classic, original flavor. While at Target conducting research for this post I discovered and purchased something called “conversation heart jelly beans.” [The abomination that is the candy industry’s recent trend of conflating seasonal candies will be discussed another day.] Unsurprisingly, the “conversation heart jelly beans” did neither the conversation heart nor the jelly bean part well. Don’t waste your candy budget on them. 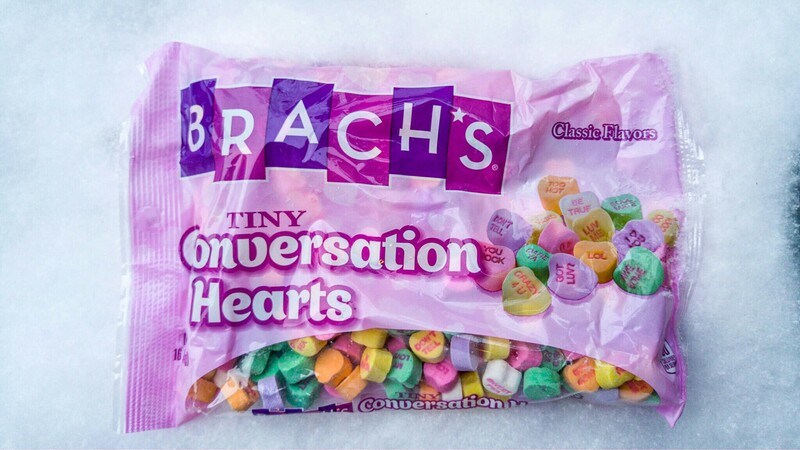 Valentine’s Day candy hearts are fun and sassy and nostalgic and cheap. They can be eaten discretely in any situation. 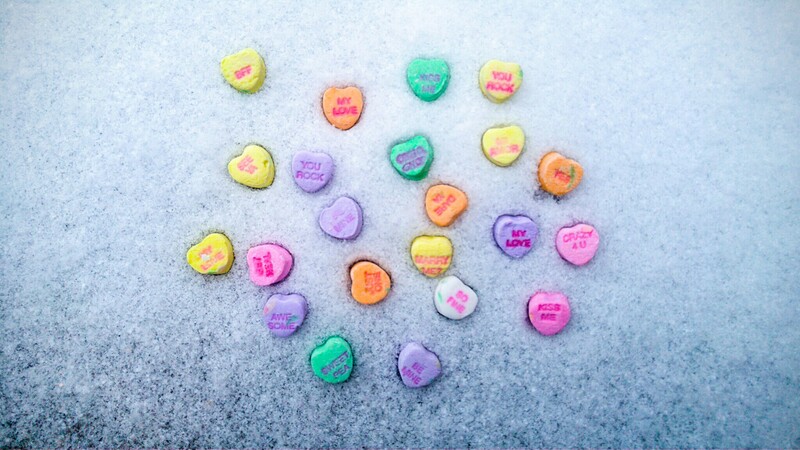 On the coldest and most unwelcoming winter days, I stash a handful of candy hearts in the pocket of my running jacket and reward myself with a small rush of sugar each mile. They can be chewed quickly or left to slowly dissolve on your tongue. Conversation hearts can and should be eaten year-round. Are they good for you? If you reject conversation hearts, you reject love and all that Valentine’s Day stands for. The opinions expressed in this post are my own. I was not paid for any of the content above. I believe in objective candy journalism. Winter Storm Jonas? An alternative theory. 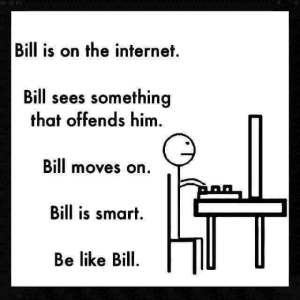 Ah, the internet. How I love thee. Here are some of my favorite finds of the past week. Happy Friday! Enjoy. The Muscular Dystrophy patient and the Olympic medalist with the same genetic mutation. Also in audio form, here. — On a related note, have you read David Epstein’s The Sports Gene? It’s on my ever-expanding, but rarely-tackled (*sigh*) list of things to read. Over the past week, I’ve listened to the entire first season of Millennial . It’s honest and real and I recommend it. If you don’t follow Cookie Monster, Elmo and the rest of the Sesame Street gang on Twitter, start now. Their innocent, nonsensical quips are beacons of happiness shining through the radioactive swamp of Twitterdom. Q-tips: the most bizarre thing people buy. The Zika Virus just got even more terrifying. Maybe you heard about how a Birkin bag is a better investment than gold and the S&P 500? Check out this Planet Money episode. Are you going to watch the return of The X-Files? I was 6 years old when the show began and (understandably) missed the boat the first time around. But, thanks to the glories and benevolence of Netflix, my husband and I have slowly been working our way through its 202 (!) episode canon. Here is a nice primer for those who want to join in the wonderful creepiness. In political news . . .
And finally, this song, on repeat. My current anthem.